I wanted mexican, my husband wanted burgers. We met in the middle with these tasty little black bean sliders. 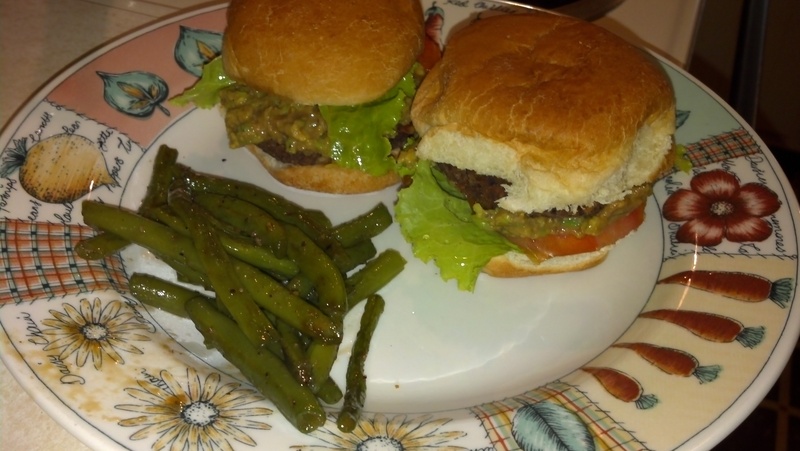 While scouring the web, my husband came across this recipe for mini vegan black bean burgers. These were mighty fine burgers and one of the best black bean burger recipes I’ve had yet. I loved the addition of walnuts, and lentils for added protein. You could also substitute rice for the lentils… or better yet, to make it even more bueno, use spanish rice! This was a super easy recipe to make. I cooked the lentils then threw them, along with the rest of the ingredients into the food processor. 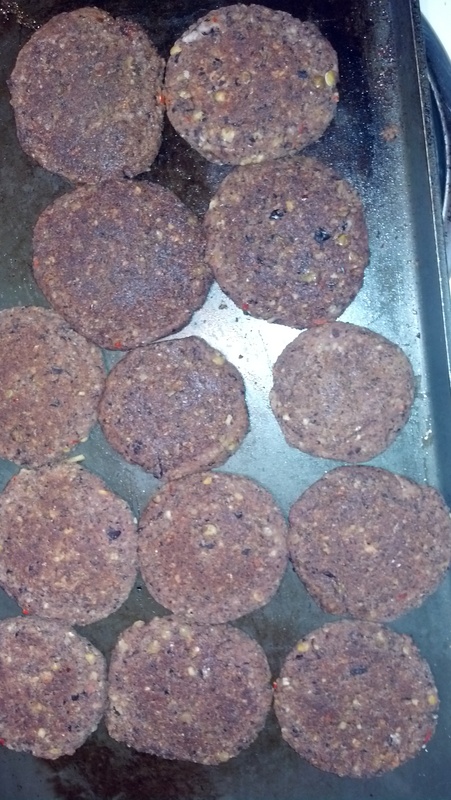 Once processed, I made them into patties and cooked them on the griddle…. EASY! Most bean burgers I’ve had are usually a bit mushy on the inside, but making them smaller helped with this! I topped mine with guacamole, lettuce & tomato. The hubs topped his with lettuce, veganaise & veggie bacon. Mine of course were better than his…. he didn’t agree!